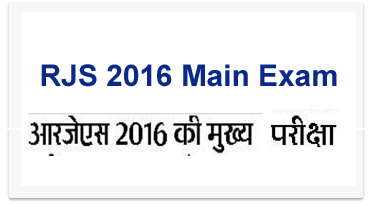 Rajasthan Judicial Services Rjs 2016 main exam Date on 24 or 25 September. Rajasthan High Court will be conduct the pre exam on 10th July, 2016.Number of candidates participate in this exam for different – different exam centre in Rajasthan .Now declared the date of main exam. Rjs conduct the exam in two phase Preliminary Examination and Main Examination as per the schedule.